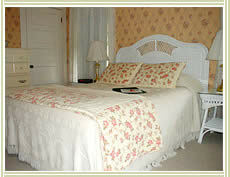 Ready for a relaxing Martha's Vineyard getaway? 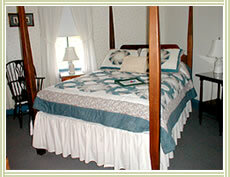 Greenwood House is the perfect choice. We'll tell you about the secret spots and pamper you during your stay. Your cozy room comes complete with a private bath, wireless internet, flat screen TV/DVD combo, air conditioning, a refrigerator, a hair dryer, and an AM/FM clock radio. Each morning, you're invited to enjoy the complimentary home-cooked breakfast. 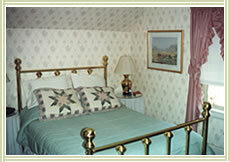 To add to your comfort, our inn is entirely non-smoking-- including all guest bedrooms, common areas and grounds. Your stay is based on per-night double occupancy and is subject to 6.7% State and 5% Local Occupancy taxes. Gratuities are at your discretion. We prefer that you use a major credit card to reserve your room. Deposit Policy 50% deposit is required with reservations of three or more nights, with the balance due upon your arrival. 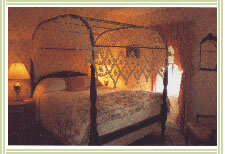 If you're staying one or two nights, we require full payment in advance. We accept MC, Visa, AMEX. For a deposit refund, you must cancel at least 4 weeks prior to date of arrival, less $100.00, or 10% of the entire amount due, whichever is greater. If you cancel within 4 weeks of your arrival date, we'll refund your deposit to the extent that we're able to rent the accommodations again over the entire reserved period. One nights stays are non-refundable. For late arrivals and early departures, your deposit is forfeited unless we can rent the accommodations again. Your deposit applies to first and last days of your reserved period. If you have any questions, don't hesitate to contact us508.693.6150 or at [email protected].